MassKara Queen is “strong in all adversities in life, can easily adapt to different situations, ... and can go along very well with people coming from different strata of society,” confidently described Alexis Danica Drilon when Bacolod Mayor Evelio Leonardia asked her in a question and answer portion of the search. 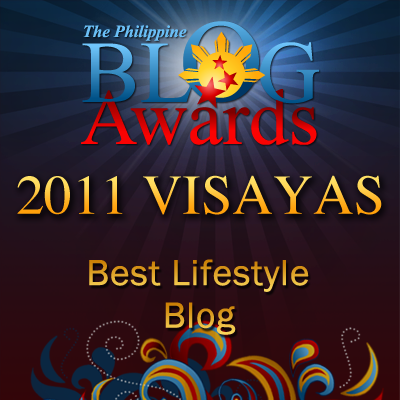 Nikki, the fond name of Ms. Drilon outshone other 9 MassKara Queen candidates, and won six of the 12 “minor” awards. 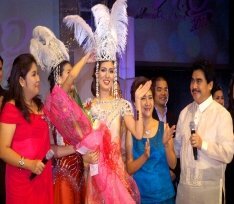 Mayor Evelio Leonardia proclaimed Nikki the 2011 MassKara Queen. She was very articulate in expressing herself. Six minor awards received of Drilon were Miss Negros Navigation and Miss Super Ferry, the Lifestyle Bacolod Magazine’s Choice, Miss Samsung, Miss Photogenic, Best in Festival Costume (courtesy of Supercat) and Best in Fantasy Make Up. When asked by Mayor Leonardia on what makes MassKara Queen the icon, Nikki as articulate as she is, replied fluently, saying: “strong in all adversities in life, can easily adapt to different situations she is confronted with and can go along very well with people coming from different strata of society”. The audience satisfied with her reply, appreciated with a deafening applause. Those who compose her court are Jelliane Rose Dinorog the first runner up, and Allysa Marie Villarico second runner up. First runner Dinorog received a loud applause in her response to “What makes MassKara Queen the icon; when she replied, the MassKara Queen’s representation of the Bacoleña’s “optimism, the character strength which depicts and form the essence of the MassKara spirit”. Dinorog is multi talented; she can sing, dance and a teacher all at the same time thus earning the Miss Talent award. While second runner up Villarico spoke of beauty “in the way a Bacoleña carries herself, she is a woman of substance and therefore has a mind of her own and can express it”. Was the question and answer portion in English or in the local dialect? I just feel somehow that beauty pageants held in the country should feature language that's unique to the region. I like her answer. It shows her character to and it also made her win. Great answer! I looked for images of her and she is really pretty! bless her! a beauty queen to a T!